Meet Joey McIntyre in Chicago | A Savings WOW! Back in my high school years, there was a new boy band that emerged and took the world by storm. Their youngest member, Joey McIntyre, became a heartthrob and had many fans swooning at the sound of his voice and at the sight of him on many magazine covers. When my husband and I started dating, our first song was “I’ll Be Loving You (Forever)” by New Kids on the Block. Now, Joey McIntyre is back with a new show that will have you laughing. A new comedy, Return of the Mac, stars New Kids On The Block’s Joey McIntyre as a version of himself alongside his real-life family. As he embarks on a hilarious quest to be taken seriously as a legit actor, Joey is thrown into the reluctant role of a talk-show host at a fledgling cable network called the Comfy Channel. Tune in and watch the Chicagonista LIVE Show with Joey McIntyre on Wednesday, March 29 at 4 pm here. 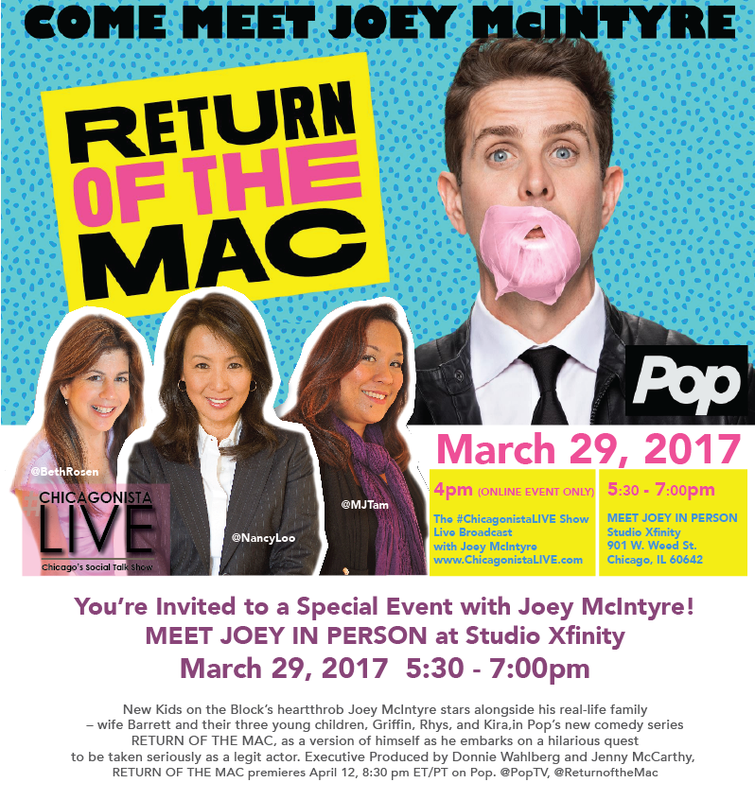 Here’s the coolest part – you can meet Joey McIntyre IN PERSON! He will be at Studio Xfinity in Chicago on Wednesday, March 29 from 5:30 pm to 7 pm, meeting and greeting fans. The event is first come, first served. Availability is subject to time limits. There is a limit of two autographs per person.